For the last two days you have been discussing the use of Dharma in improving society—a very important subject. Unless something is done to solve social problems, misery will keep on increasing. But to improve society we cannot forget the individual; Man matters most. And to improve the individual, we cannot forget the mind; mind matters most. To improve the mind Dharma is the only tool, and it must be applied Dharma. You have rightly pointed out at the conclusion of your seminar that actual, practical steps have to be taken. Mere sermons will not do. Our country does not lack in sermons. We have been listening to them for ages; they go in one ear and out the other. We say, "Wonderful. This is very good." But how do we apply Dharma in life? It is necessary to deal with the individual and the mind of the individual. This is a big task. There are billions of people around the world, and hundreds of millions in this country; will they be able to practice Vipassana? I am very optimistic. The technique of Vipassana disappeared from India about five hundred years after the time of the Buddha. But the rock edicts of Emperor Asoka show that during his reign the Dhamma flourished. That is why Asoka is acknowledged as one of the greatest rulers in the history of the world. In these inscriptions, Asoka proclaimed that, like all rulers before him, he wanted his subjects to live in harmony, to live a life of Dhamma, and to have respect for their elders and love for those younger. Similarly, he wanted the different religious sects to be on friendly terms with one another. Unlike his predecessors, Asoka attained these goals. He maintained that he had succeeded because he spread the wonderful teaching of the Dhammaa the practice of meditation throughout the country. He had dhammamatyas [Dhamma teachers] travel to different parts of the kingdom to explain the teaching. They did not convert people from one religion to another. In fact it appears that, for five hundred years after Buddha, nobody used the word bauddha-dharma [Buddhist Dhamma]. They said only "Dhamma." Every edict of Asoka speaks only of the Dhamma. The people were taught not only the theory of the Dhamma but also the practice of meditation, and so they became peaceful and happy. Aœoka claimed that his success was demonstrated by an improvement in the moral conduct of his people. If this were not true, surely the rock edicts would have been smashed long ago. But they have survived for 2,200 years. The inscriptions testify to the mass application of this technique, with the result of profound changes in society at that time. 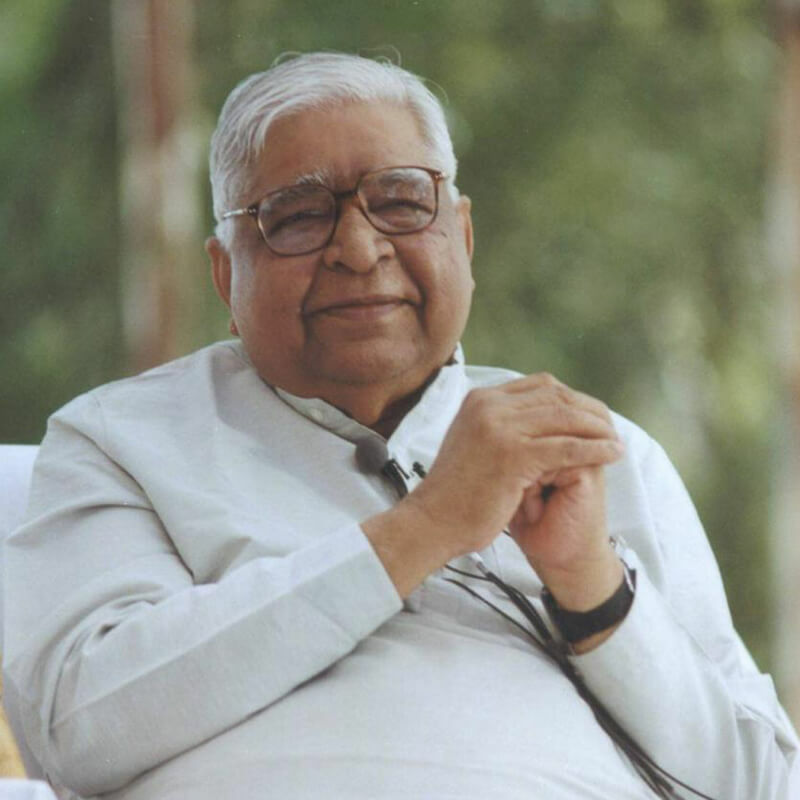 We have to find out how Asoka succeeded in taking Vipassana to every part of the country. The teachers he appointed taught all levels of society, from the royal family to the poorest of the poor. We have to find out how to do this now. If it is possible, we should start with people of the elite. All good or bad things trickle down from the top and then spread through the whole society. But how will these people be attracted? There are promising results from the work done over the last twenty-five years. Of course there are those who have doubts, but people have started thinking that there must be something in Vipassana. I am sure a time will come, sooner rather than later, when the people at the helm of affairs will come to find out what it is. There is misery everywhere, even for those of the elite. I would say they are more miserable than anyone else. Leaders of the business community (I have been one myself and I know how miserable these people are), political leaders (I have been very close to them in Burma, and here also I hear and see)—they are very miserable. Similarly in every sector of society, those who are at the top are really miserable. Like anyone else, they need peace and harmony within. If they come to know that there is a way they can experience peace and harmony within themselves and help the surrounding atmosphere to be peaceful and harmonious, certainly they will become attracted; but it may take some time. You have rightly concluded that we should work with the coming generation. Vipassana must go to the young. I have seen that those studying at schools and colleges are accepting it and getting good results. Their memory becomes very strong, their comprehension is much improved and (another important thing) their nervousness goes away. A student might have learned a subject well, but at examination time he or she becomes anxious, forgets everything and gets low marks or even fails. With this technique we advise simply to practice two minutes of Anapana, to observe respiration, before opening the question paper. The mind calms down and then the students answer their papers. Very good results are emerging. I have noticed that members of the younger generation accept Dharma, true Dharma, more easily than their elders. Character building should start at a young age. I am very happy that this seminar has come to the conclusion that this wonderful technique should go to students in schools and colleges. Yesterday I was told that there was an interesting discussion about the meaning of the word Dharma, what the scriptures say, and what the meaning is according to the scriptures. I smiled on hearing this. I also know from my own experience that most people do not understand at all. Even Buddha’s words, wherever they are taught in schools or in colleges, are learned merely to obtain a certificate. We took up the responsibility of publishing the words of the Buddha because they contain so many fine points about Dharma and the practice of Vipassana. But these can be understood only by real practice. Dhammaniyamata is the law of nature, but if one is trying to understand only at the intellectual level, it won’t have the same meaning. You must purify your mind, the totality of the mind. If you are simply answering questions for school or college, to get high marks, there will be no understanding of Vipassana. When you practice, every word will carry a different meaning altogether. Not only the words of the Buddha, but every scripture will carry a different meaning. In my experience during the last twenty-six years in India, a large number of Christian priests have come to courses. The first mother superior who joined a course, Mother Mary, said, "You are teaching Christianity in the name of the Buddha!" Yes, I am teaching Christianity in the name of the Buddha. A very learned mullah who participated in a course in a mosque said afterwards, "There are two ayats of the Koran which we could not understand, but now their meaning has become so clear through this practice." The ayats say, "One who observes the respiration and observes properly will observe Allah. One who observes the body and observes properly will observe Allah." The mullah said that he had been reading these texts, but could not see what Allah had to do with respiration, and every day when taking a bath he could see the whole of his body, but he could not see Allah. He and fellow scholars knew there must be some special meaning, but they could not find it. He told me, "Oh, now we understand." People from the Sikh community have come and they say, "We did not understand the real intent of the words spoken by the saints and Gurus. 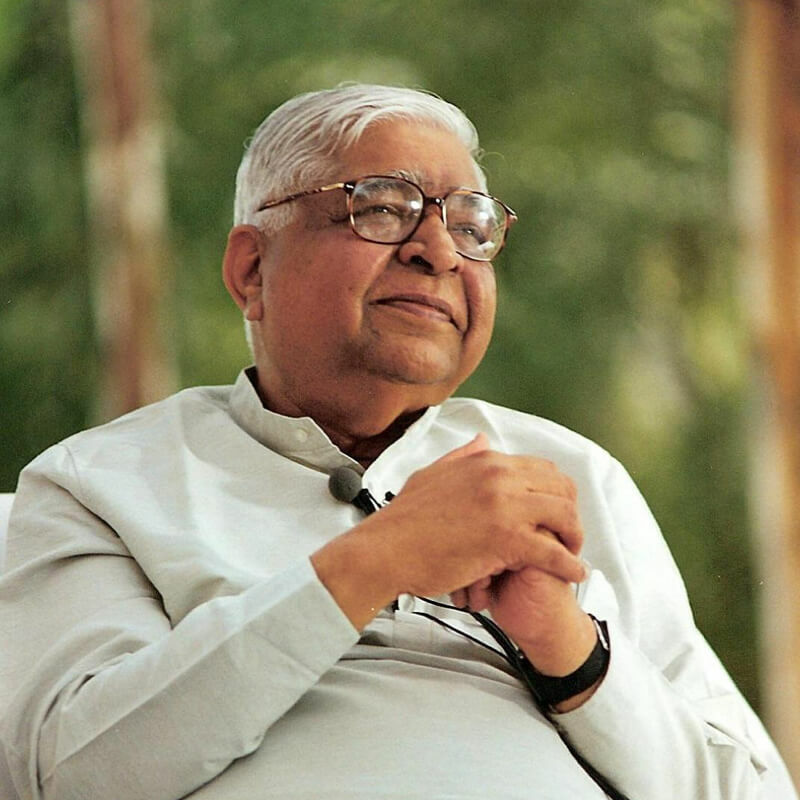 With Vipassana we understand their real meaning and purport." I come from an orthodox Hindu family. 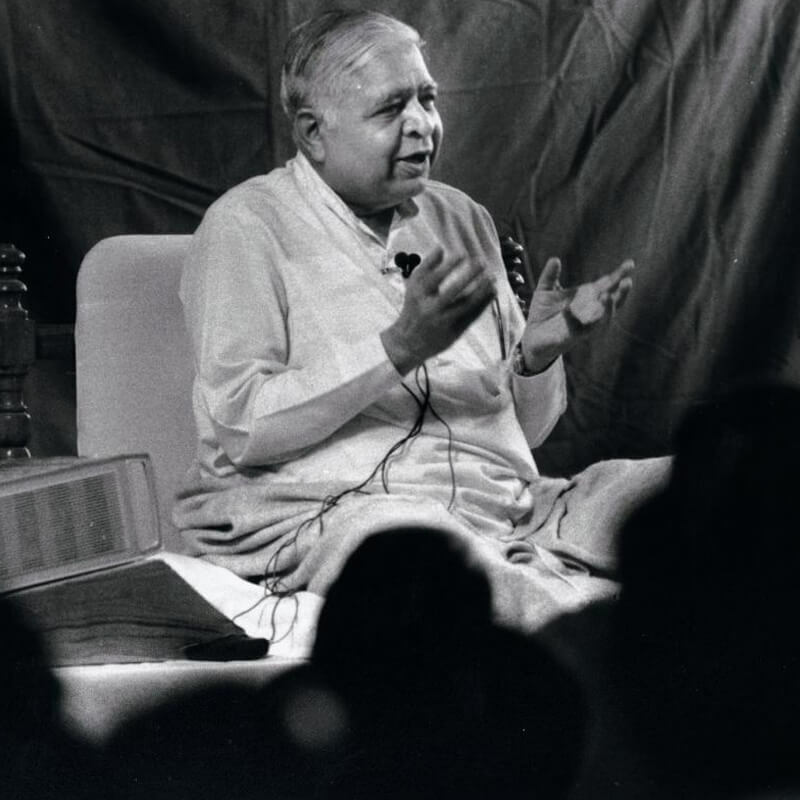 I used to recite the Gita, and after passing through this process of Vipassana, every word carried a different meaning altogether. I had my own understanding before, but after I started practicing Vipassana, I found a totally different meaning. The same may be said of the words of the Buddha, which explain Vipassana, the law of nature and the scientific Dhamma so clearly. The people of India had lost the words of the Buddha, and so (although teaching Vipassana meditation remains my main responsibility), I took the decision to publish them. Fortunately we have scholars to ensure that the publication is exactly as accepted by the Sixth Council. The publication should be perfect. I am happy that these scholars are taking an interest in Vipassana. I am confident that they will soon start saying, "Oh, a Vipassana meditator will understand the meaning of this; it can’t be a dictionary meaning, it must be an experiential meaning." The publication of the theoretical aspect of Dharma is being undertaken to allow the practical aspect of Dharma to be properly checked, and to inspire people to practice. Actual experience alone will help us. If this becomes merely an academic organisation, publishing P±li texts, and we keep arguing about this word or that without tasting Dharma, it will be valueless. Real benefits will come only from practice, nothing else. Now people are recognising this, and they are giving importance to the real practice of Dharma without making it sectarian. If my teacher had said to me before my first course, "I am going to make you a Buddhist," I would have been the last person to go to him. My teacher taught me real Dhamma, the law universal, and I found what I was looking for. When I passed through the ten days I discovered to my great joy, "Oh, this is applied Gita, not merely theories. This is how one can become vita raga [free from passion], vita dvesa [free from anger], vita bhaya [free from fear]. One can become stitha prajña [firm in judgement and wisdom]." The technique can benefit everyone. Hindus, Muslims, Christians, Jains can all practice and continue to regard themselves as followers of their own religions; it makes no difference. Unless one becomes a good human being, how can one be a good Hindu, or a good Muslim, or a good Buddhist, or a good Jain? Dharma teaches us how to become good human beings, not by sermons but by actual practice. I am fortunate I came into contact with this wonderful path. From it I have received far greater benefits than I could ever have expected. Naturally I wish to share the path with others, but not with the intention of converting people to another religion. That would not help at all and would create more barriers. Let people understand that Dharma is universal, that it is not tied to any particular sect. Of course, when we discuss Vipassana we use the name of Buddha. Sometimes because of conditioning, people will ask, "This sounds Buddhist, why do you talk of the Buddha?" I smile. Why do I talk of the Buddha? When teaching science and talking about the law of gravity, we say that Newton discovered it, and we may call it Newton’s Law of Gravity. Of course the law of gravity was there, whether we knew it or not, with Newton or without Newton, and in future the law will remain the same. Similarly with Dharma: it was there and someone discovered it. Should we not be grateful to him? The Buddha said, "Tumhehi kiccam atappam akkha taro tathagatm"- you have to walk every step of the path yourself; you have to work for your own salvation. An enlightened one will only show the path because he has walked over it. He cannot liberate you; no-one can do that. I am glad that people have started understanding; although their number is small, that doesn’t matter. There is great darkness all around. Even with one lamp lit, we are happy to have a small circle of light. Soon this one lamp will become two and then three lamps, and in this way the Dhamma will spread. And with the use of modern scientific facilities, whatever you are now proposing can happen. If it could happen in the days of Aœoka, when all these facilities did not exist, why should it not happen now? It will happen, I am sure. May all of you who have come to discuss Dharma in this seminar get inspiration to taste Dharma, and live a happy, harmonious life, good for you and for all others.